The UK's airport departure tax system is to be revamped, benefiting Britons on long-haul flights, Chancellor George Osborne has announced. Mr Osborne said he is getting rid of the two highest bands of Air Passenger Duty (APD) although travellers will have to wait until next spring for the changes to take effect. That means those travelling on long-haul flights to south-east Asia, Australia, the Caribbean and other destinations will only pay as much as they do now flying to the USA. Mr Osborne said it was "crazy and unjust" that Britons on eight-hour flights to the Caribbean should pay more APD than those on 11-hour ones to the west coast of the US. The Chancellor's move will be welcomed by budget-conscious holidaymakers who also have to allow for items such as flight costs, travel insurance, accommodation and car hire when planning their breaks. 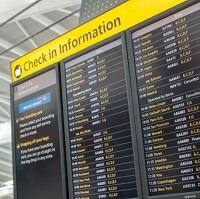 The current airport departure tax system has been campaigned against by UK airlines and travel firms as well as tourist boards in the Caribbean. Dale Keller, chief executive of the Board of Airline Representatives in the UK, which represents dozens of carriers, said having the highest rates of aviation tax in the world had been putting a brake on the UK's economic growth. He said the organisation wanted the Chancellor to cut APD even further but admitted his move was a "step in the right direction". Mr Keller added that the board would continue asking the Government "to deliver the fair and proportionate aviation tax that the UK deserves". The chief executive of the Airport Operators Association, Darren Caplan, welcomed the announcement, adding: "It is clear the Government has recognised that APD represents a growing barrier to growth and investment, putting the UK at a competitive disadvantage compared to our nearest international rivals." The changes are set to take effect at the beginning of April 2015. Before then travellers will have to absorb a rise in line with inflation on APD rates from April 1 as well as a similar increase when the new two-band system is implemented.